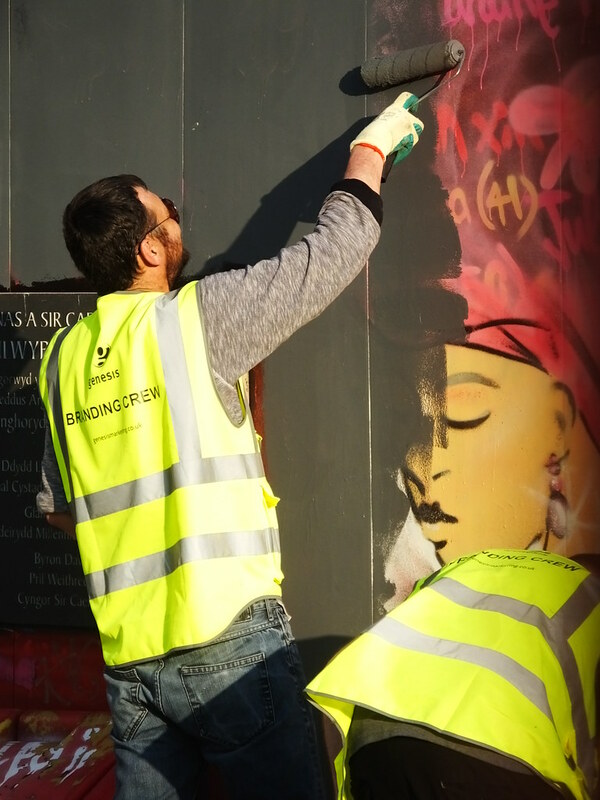 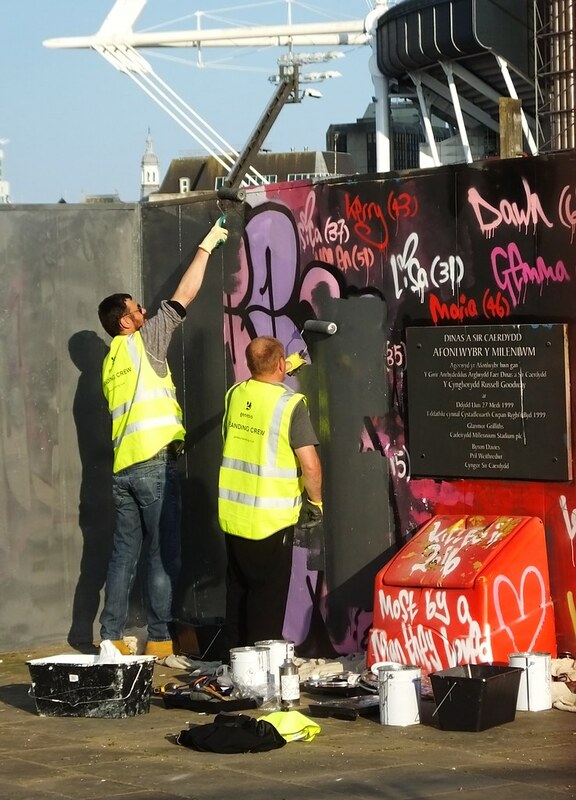 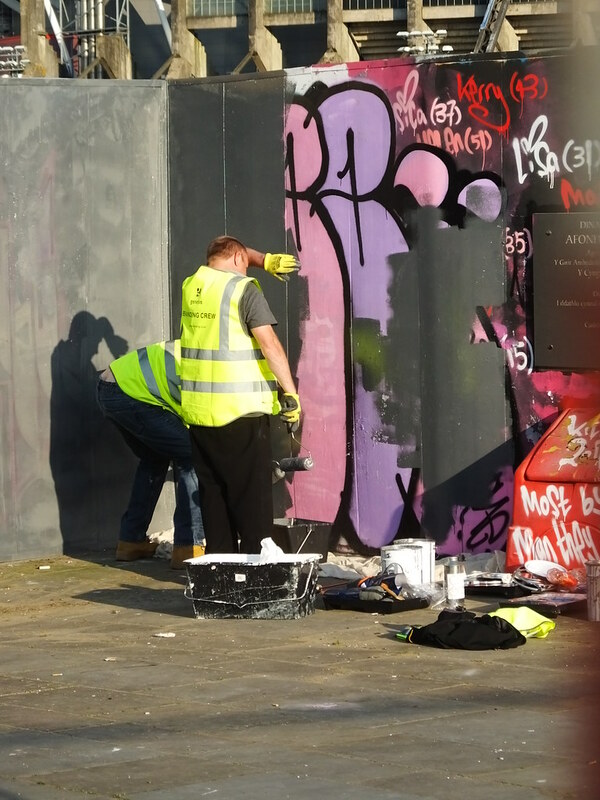 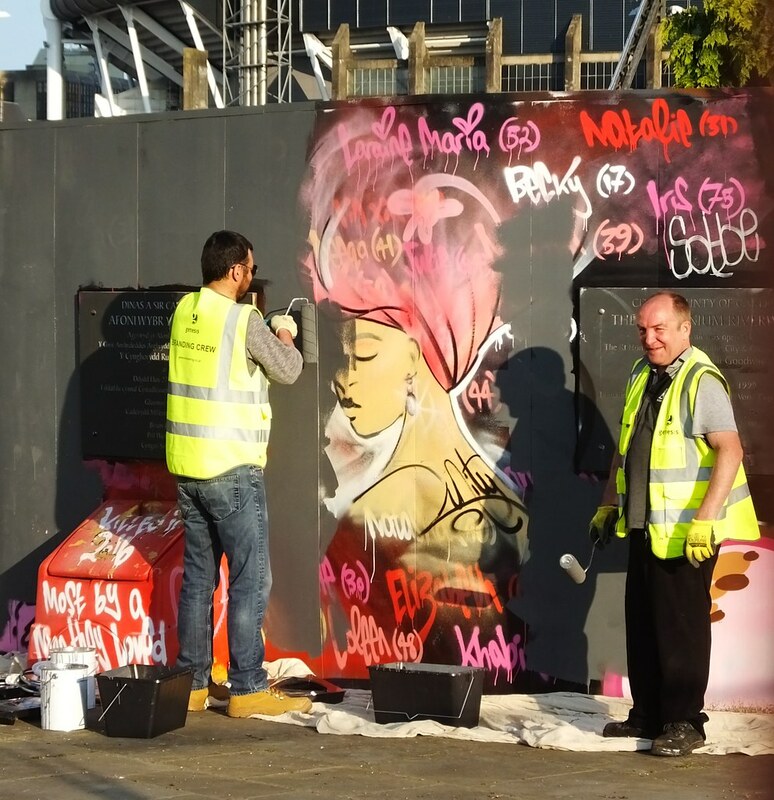 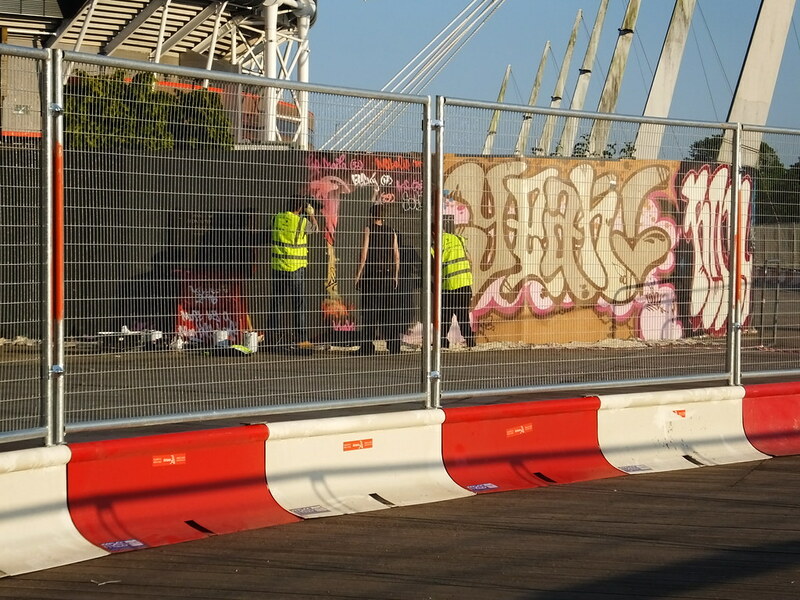 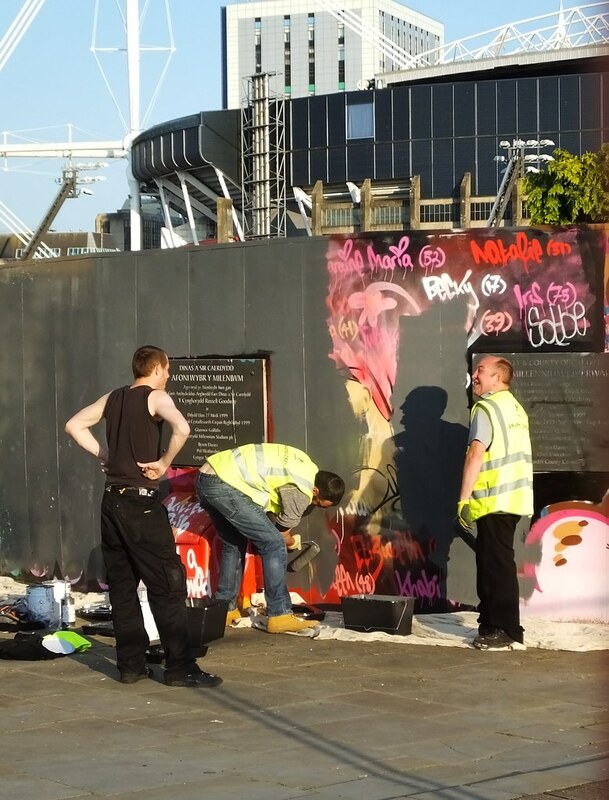 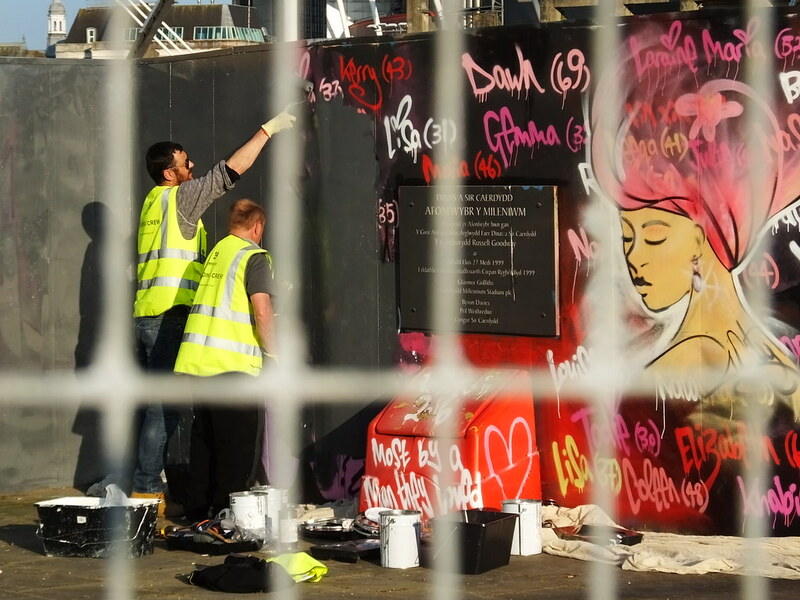 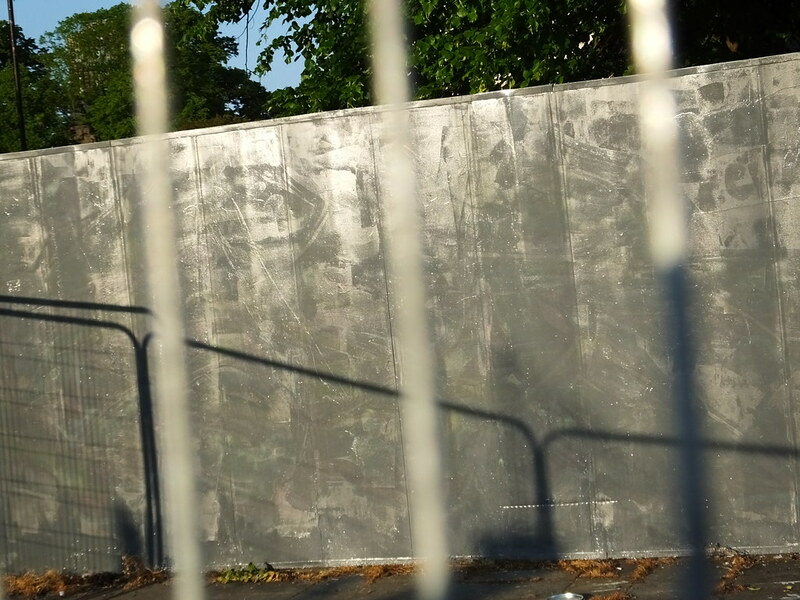 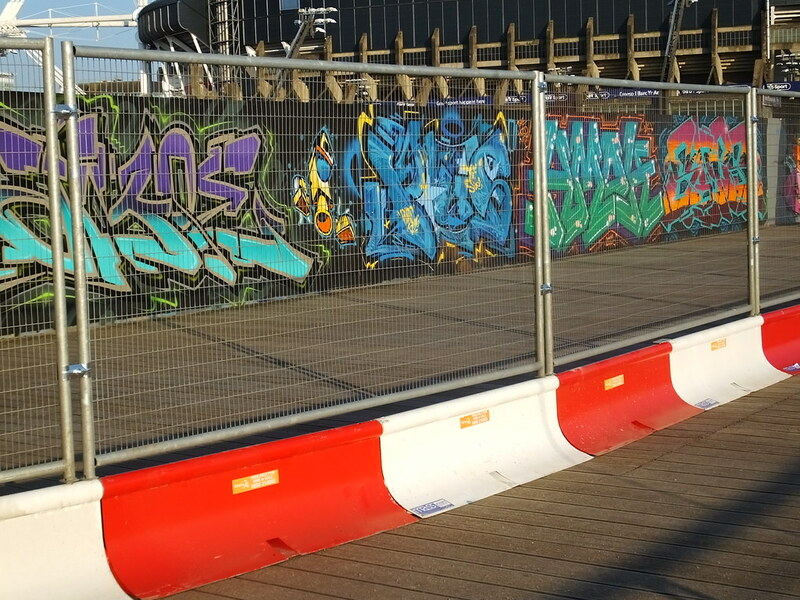 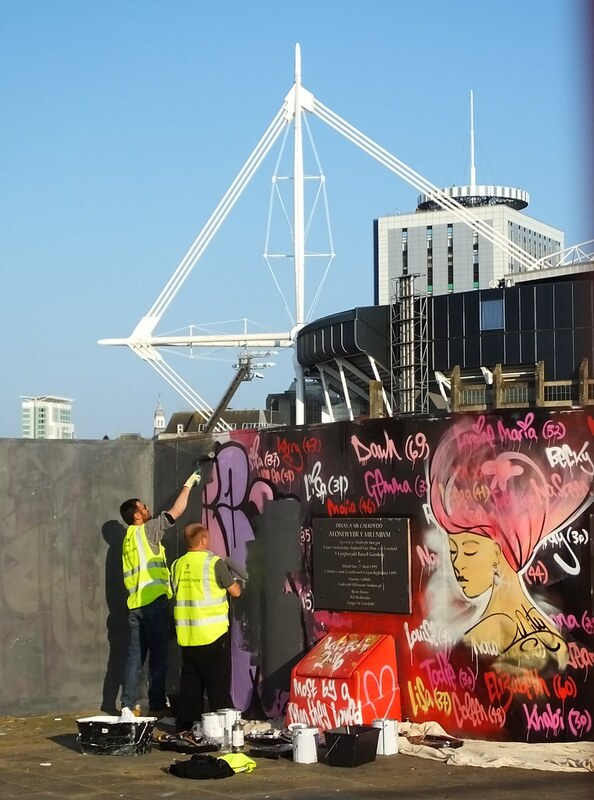 The writing has been on the wall for many weeks now since it was announced that the legal street art on the hoardings running alongside the Millennium Walkway were to cease. 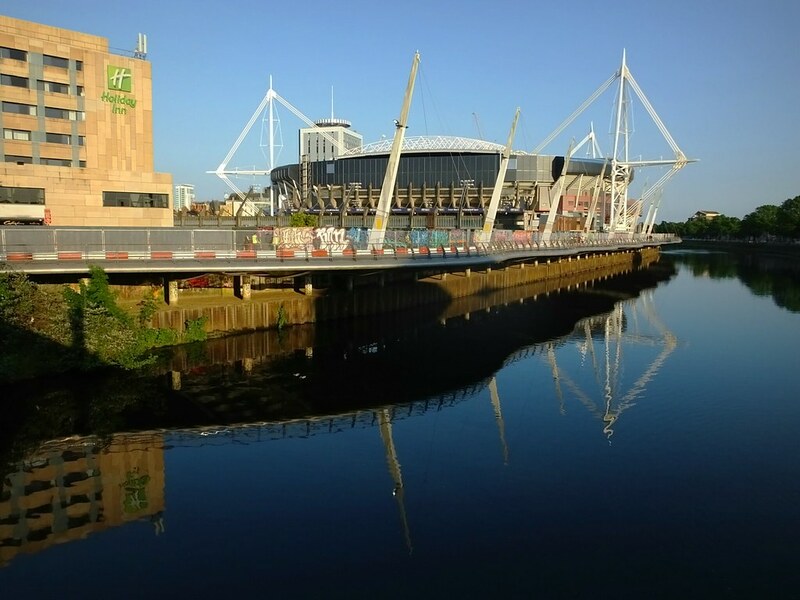 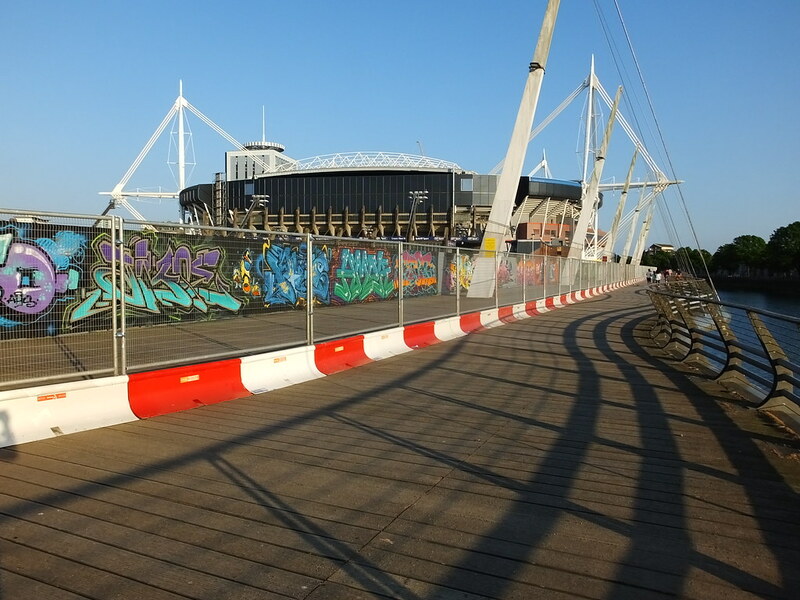 As the city now prepares to host the Champions League Final at the Millennium Stadium a decision had been taken to utilise the walkway for advertising rather than to showcase the talents of the city’s street artists. 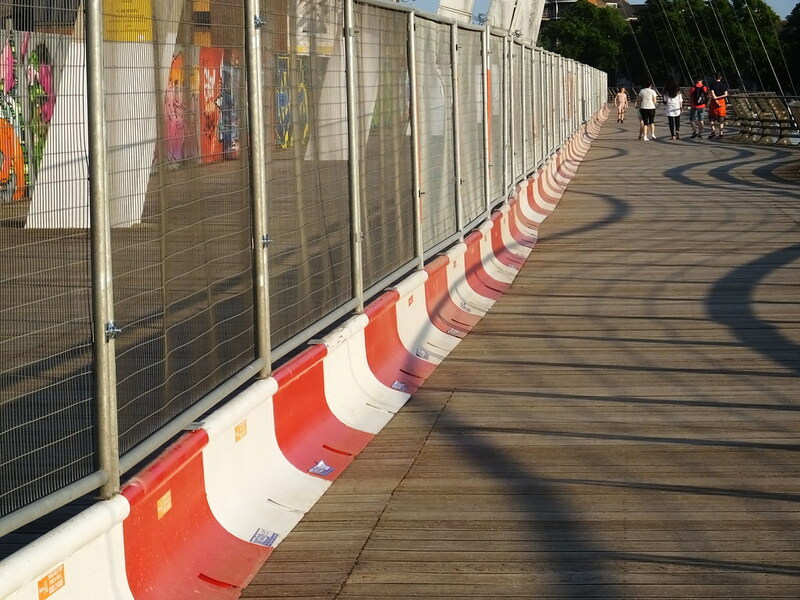 A ‘ring of steel’ has been installed along the walkway to separate the hoardings from the general public whilst the ‘makeover’ is carried out. 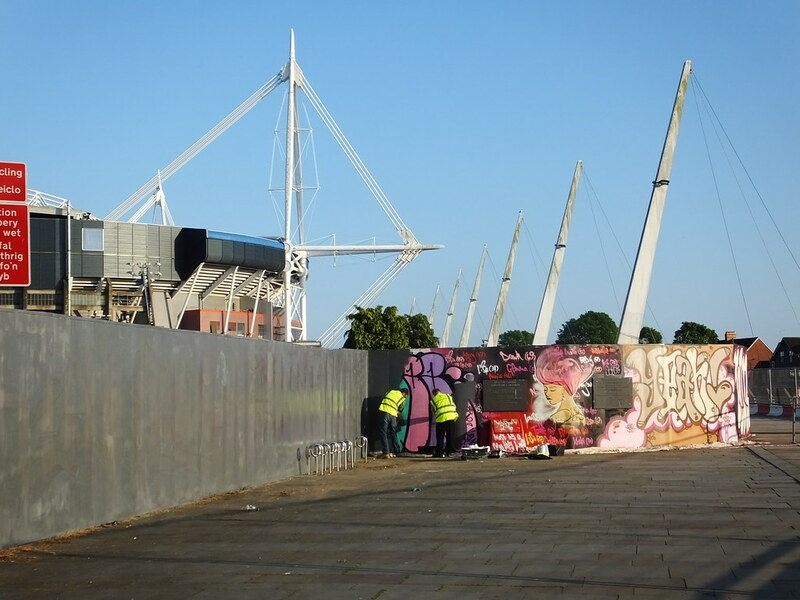 The street art was slowly being covered up in the build-up to the most watched sporting event of the year being hosted right here in Cardiff. 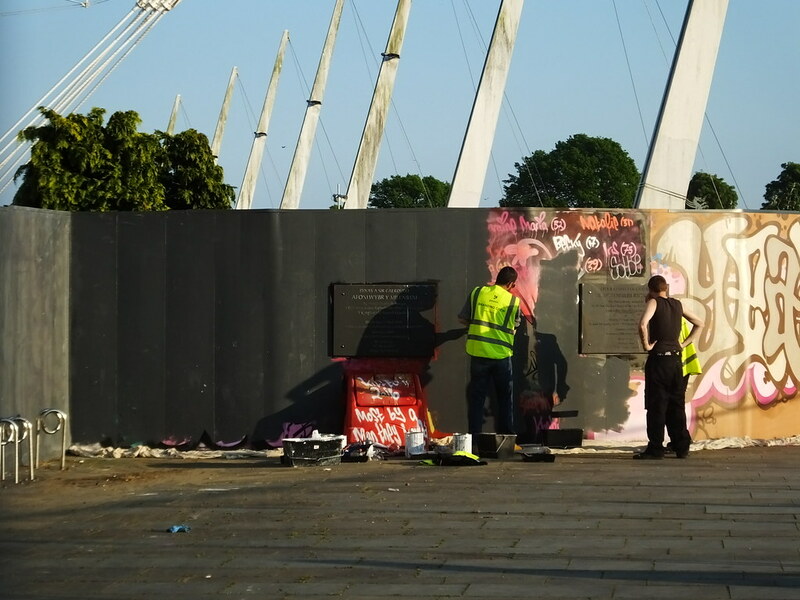 One of the artists who originally helped convince the local council to allow street art on this walkway was ‘Unity‘ – it was quite touching to catch the workmen destroying all the work she had carried out here. 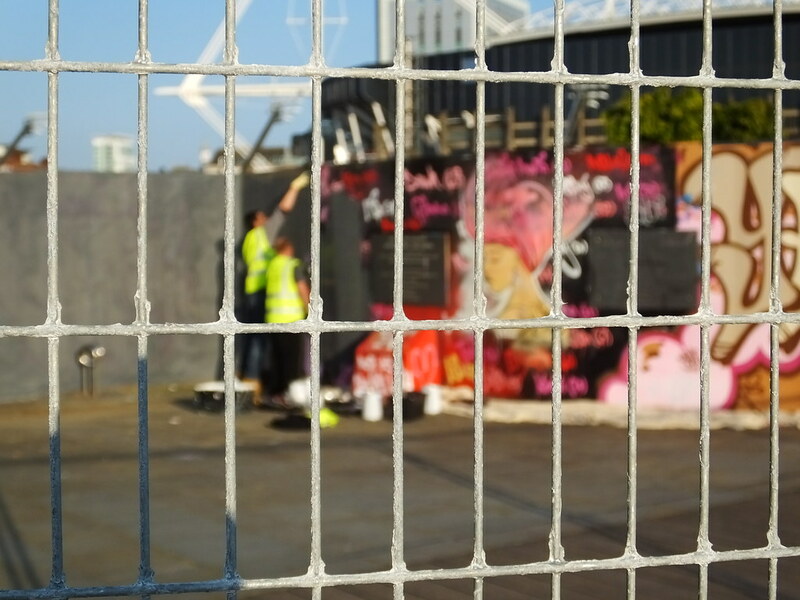 And so it’s now the end of an era as 18 months of a whole range of street art comes to an end along this stretch – the space served the city well!